Take advantage of good weather while it’s here to not only up your home’s value and curb appeal but also create a comfortable and safe environment during the colder, brisker temps ahead. Before long the air will turn crisp, the leaves will fall, and snow will be in future forecasts. Service the HVAC: A summer of open windows means debris and allergens may be lurking in your heating, ventilation, and air conditioning (HVAC) system. Replace air filters to help cut back on what is blowing through your home. Also, be sure to perform regular maintenance, bringing in an HVAC pro to service your unit if needed to ensure it’s running as efficiently as it can be. Check the roof: Heavy snow can prove a heavy burden on a roof that isn’t in tip-top shape. Inspect your roof for holes, loose shingles, or areas that could lead to leaks and ice damming this winter. If you aren’t doing the work yourself, hiring a roofing contractor while the weather is still warm will be easier, and likely less expensive, than waiting until the dead of winter. Add insulation: Good for your home no matter what the weather, proper insulation can make your interior more comfortable and energy bills less expensive. If your house typically feels drafty and cold in the winter, or you’ve noticed your heating and cooling bills creeping up in cost, consider having your insulation increased in the attic, exterior walls, ducts, crawl space, and basement. 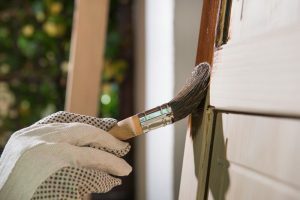 Paint the exterior: Cold, wet weather and paint don’t mix, which means if your home’s exterior siding, windows, or doors need a fresh coat, getting it done while the weather’s still warm is a must. While it may seem like a chore done for purely aesthetic purposes, painting can extend the life of your exterior, prevent termite damage, and decrease the harshness of winter. Seal any cracks: Avoid warm air from getting out and cold air from getting in by caulking around window and door frames. Your house will stay warmer when it gets cold out without spiking your energy bill. Add weatherstripping: Another way to decrease your utility bills while increasing the comfort of your home’s interior is by adding weatherstripping. For areas around doors or windows where caulk can’t cut back the the air getting in and out, install weatherstripping to ensure a tight, sealed fit. Trim trees and bushes: Reduce the amount of leaves you’ll need to rake while also keeping your home’s exterior free from debris and branch-related damage by cutting back trees, bushes, and shrubs growing near your home. Pruners and shears can help you tackle smaller projects, while professionals may be needed for tall trees or when trimming around power lines. Get started now on these must-do home improvement projects. Fall is here, and with it comes it’s own list of seasonal to-dos. Crossing off a few projects now can keep you from feeling overwhelmed–or worse, skipping necessary projects–later. DRS Remodeling is a certified member of NARI, National Association of the Remodeling Industry, a network of experienced, well-trained remodeling professionals. As a member, DRS observes NARI’s strict Code of Ethics and Standards of Practice. These high standards of honesty, integrity, and responsibility give you the assurance you need that your project will be completed on time, on budget, and with high quality craftsmanship. Whatever your remodeling needs, DRS works with you to provide the highest quality work while remaining in your budget. DRS Remodeling will help you create a plan that’s fitted to your property. 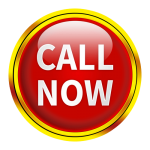 Call DRS today at 877-280-7961 or Contact Us to discuss your remodeling needs.